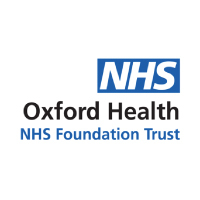 Oxford Health NHS Foundation Trust are using the Medical Interoperability Gateway (MIG) to view a subset of GP data within Carenotes (mental health and community health) and Adastra (out of hours). Before implementation of the MIG, there was absence of seamless access to primary care information across both Oxfordshire and Buckinghamshire. The Oxfordshire Care Summary was frustrating for clinicians, as they had to log into a separate system each time they wanted to access patient information. The MIG Detailed Care Record (DCR) service was implemented to address these challenges. Oxford Health NHS Foundation Trust went live with DCR in December 2017. Clinicians can now access ten categories of GP data through their Adastra and Carenotes applications. This means all the required patient information can be viewed in the same system. By having the correct sharing agreements, Oxford Health NHS Foundation Trust have also enabled cross border data sharing with the Child and Adolescent Mental Health Services (CAMHS) and Adult and Older Adult Mental Health Services across Buckinghamshire. How they have benefited from the MIG? Uptake of the MIG has been very positive with over 600 clinicians using the MIG via Carenotes (over 2000 views) and 25 clinicians using Adastra (over 100 views), since the service went live. Clinicians are now operating more efficiently. Previously it could take up to 30 minutes for an administrator to gather the required patient information from the GP. The MIG allows clinicians to instantly call GP data at the point of care, which has reduced the waiting time to a matter of seconds. This has helped to create more time for patient contact. “The MIG has had a positive impact on how clinicians work. They now have an easy method of accessing patient records and the MIG has enabled this slick sharing of data, it’s seamless. The physical wellbeing of patients is important and accessing information is now straight forward via Carenotes.” Vivek Khosla, Consultant Forensic Psychiatrist and Associate Medical Director (Adult). Dr Ian Neale is using the MIG in the primary care out of hours (OOH) service and explains how it has been invaluable to his role. “A patient who had previously visited the GP came to the OOH service as a patient. Symptoms included slight backache and a high fever. I was able to view the GP patient record and see in the Detailed Care Record a diagnoses of an asymptomatic urine infection based on a urinary dipstick, which was then treated with an antibiotic. On return to the OOH service, the patient didn’t know the medication name they were taking and upon consultation it appeared the patient had clinical pyelonephritis. Again, by pulling the live data from the MIG I could see the urinary dipstick had not been sent for culture, what medication had been prescribed previously, what their renal function was and the patient’s allergies. Rachel Valentine, Project Manager from Oxford Health NHS Foundation Trust explained that they are looking to enhance their MIG connectivity in the future. This includes new acute and social care end points and additional Specialist Datasets.